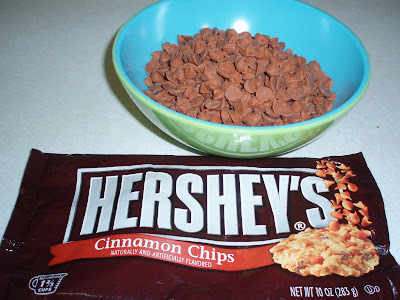 EAT WITH ME: Cinnamon Chips! I can't find these in any of my local grocery stores. Ms. Terri in WI sent me a few bags...had to use them up! I have found them online, so if any of the stores never carry them and I have an urge, I can order online. Brown Sugar is a beautiful thing. 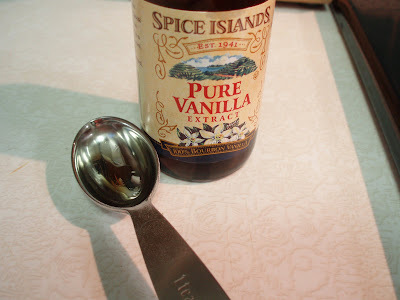 I ran out of my $20 bottle of vanilla extract, (a sad day for sure!) so this is the next best bottle I could get at the grocery. My next batch will come from Penzeys. Once you mix up your batter, it's best to use a scoop of some sort to get the dough placed out in equal size pieces so they cook evenly. Warm cookies! 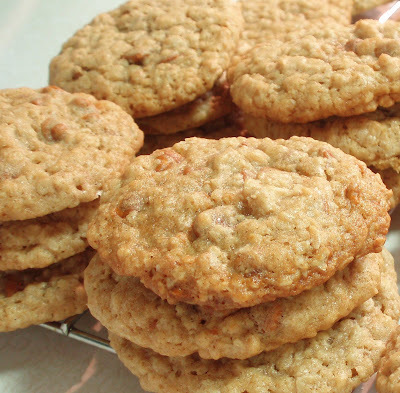 Let them cool for a minute on the pan before you take them off the pan, if they are too soft, they might fall apart. 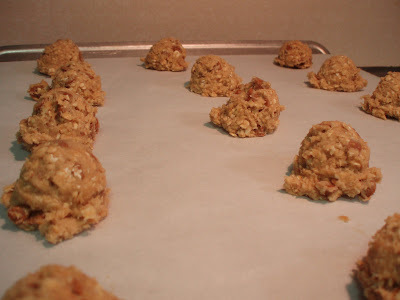 Let them cool and rest before placing in your cookie jar. 2. 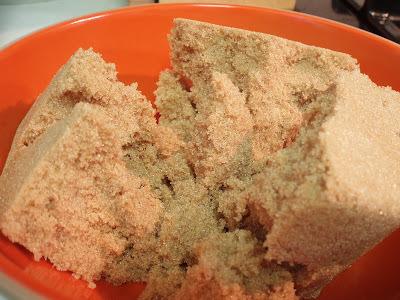 Beat butter, brown sugar and granulated sugar in a bowl until creamy. Add eggs and vanilla; beat well. Combine flour and baking soda; add to butter mixture, beating well. Stir in oats, chips and raisins. The batter will be stiff. 3. 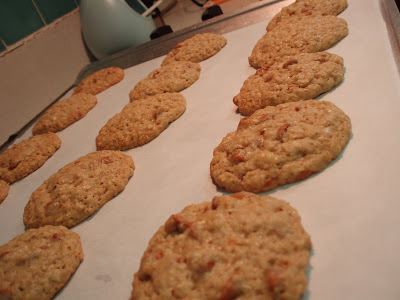 Drop by heaping teaspoons onto ungreased cookie sheet. Bake 10-12 minutes or until lightly browned. Cool 1 minute; remove from cookie sheet to wire rack to cool. Drooling! My Super Target carries the chips for $1.52 a bag. That's a steal! Only one other store in the area has them, but for over $2/bag. Before you order online, check with me. Maybe I can still pick them up and send them to you for less money!! 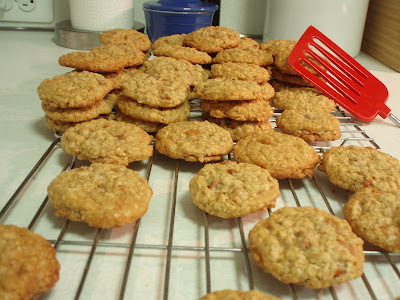 These cookies were so unbelievably good. I ate way to many of them, but I smelled nice. I have a bag of those in my kitchen cabinet. They do make a wonderful cookie. Maybe I need to dig them out and use them this weekend.